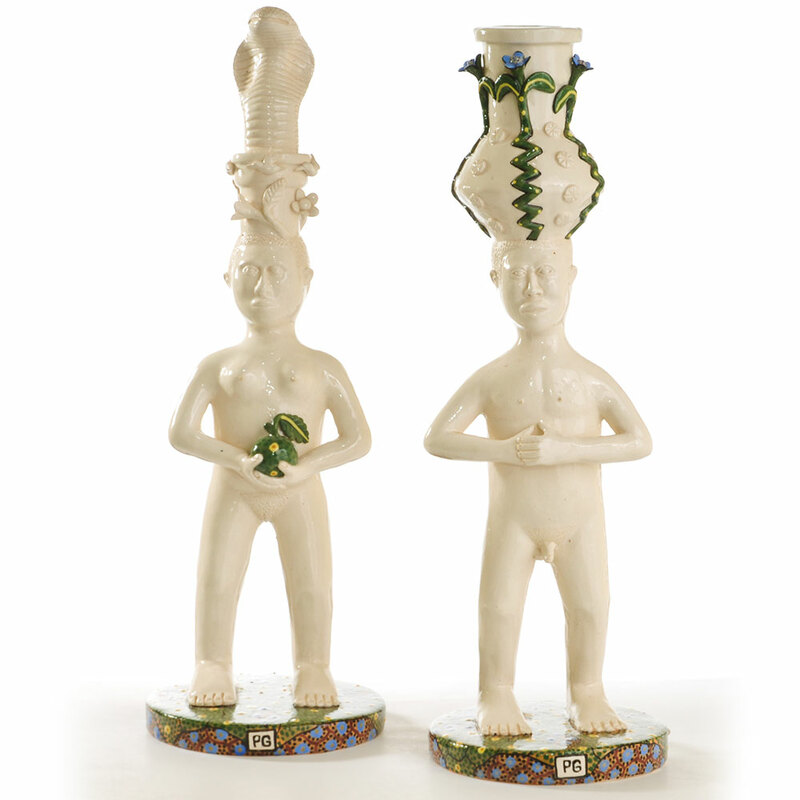 Adam and Eve were the first man and woman according to the creation myths. In the Bible, God formed Adam from dust and placed him in the Garden of Eden where he is told he can eat freely except from the tree of the knowledge of good and evil. Eve is created from one of Adam’s ribs to be his companion. She is deceived into eating fruit from the forbidden tree by a serpent, later identified as Satan or, according to Jewish tradition, the seductive demon Lilith, Adam’s first wife. 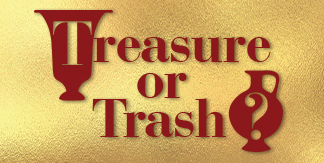 Because of their sin against God, Adam and Eve are banished from Eden, ashamed of their nakedness. Throughout the history of art, the original couple has been portrayed either before their fall or afterwards clothed with fig leaves and animal skins. 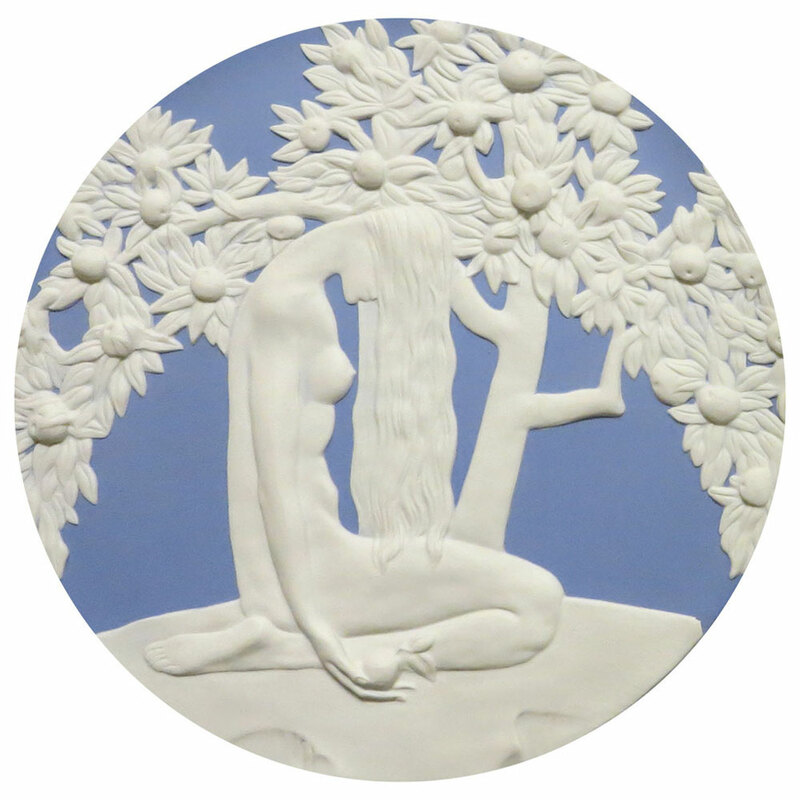 WMODA features several interpretations in ceramic art including a striking pair of Wedgwood Jasper ware plaques designed by Anna Zinkeisen, who is best known for her Art Deco style murals on RMS Queen Mary. 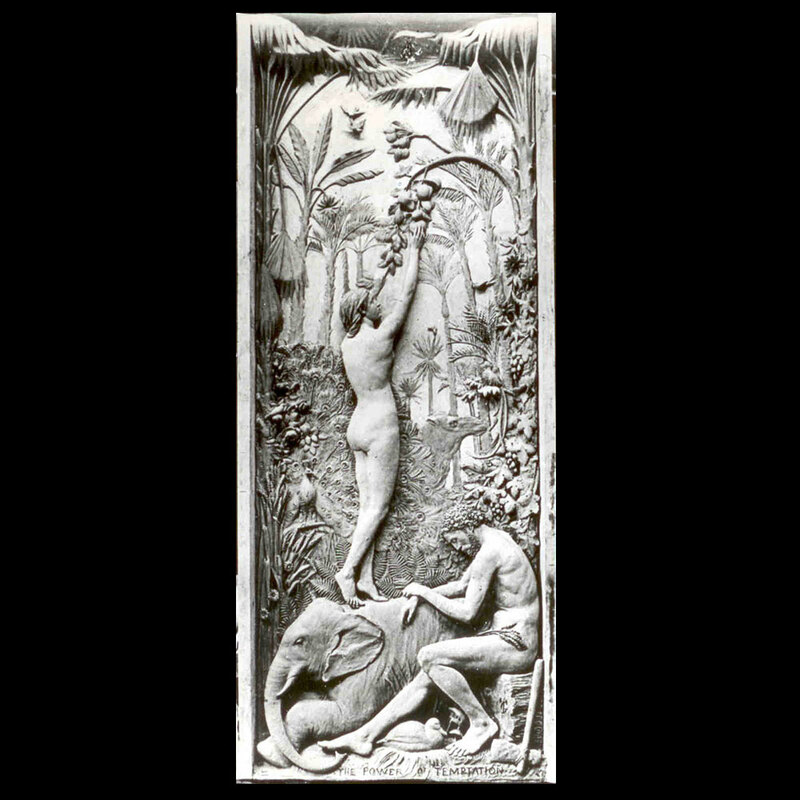 Her original Adam and Eve plaques were shown at the Paris exhibition in 1925 where they won a silver medal. 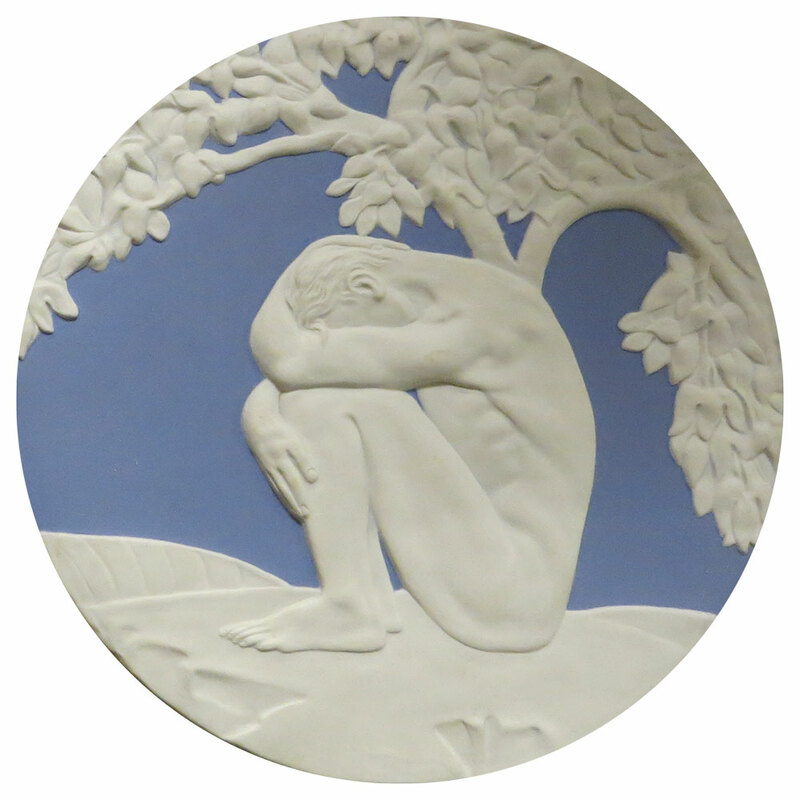 Limited edition versions were later issued for the Wedgwood Collector’s Society. 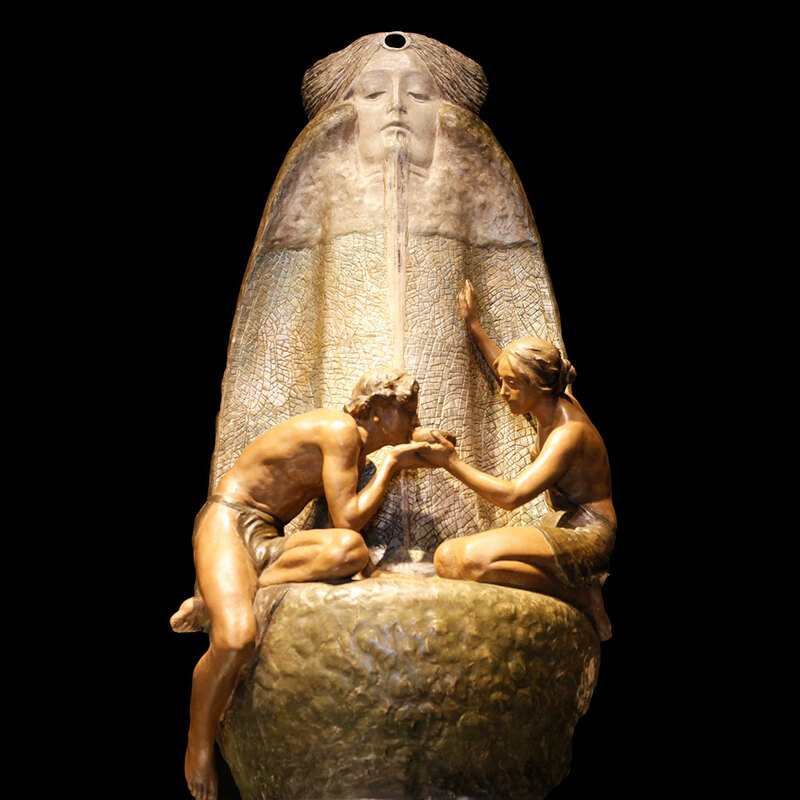 A monumental bronzed terracotta vase by Goldscheider c.1912 is in the Art Nouveau & Art Deco gallery features Adam and Eve drinking from the fountain of youth. 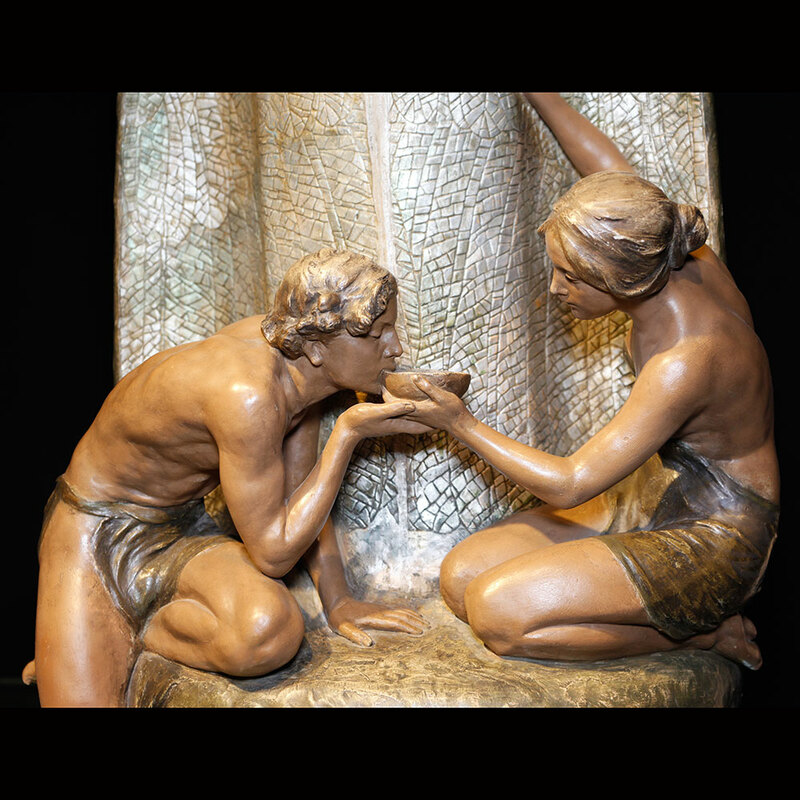 The first Doulton artist, George Tinworth, modeled a terracotta panel The Power of Temptation which we would love to find for the museum. It shows Eve standing on the back of an elephant to reach the forbidden fruit. 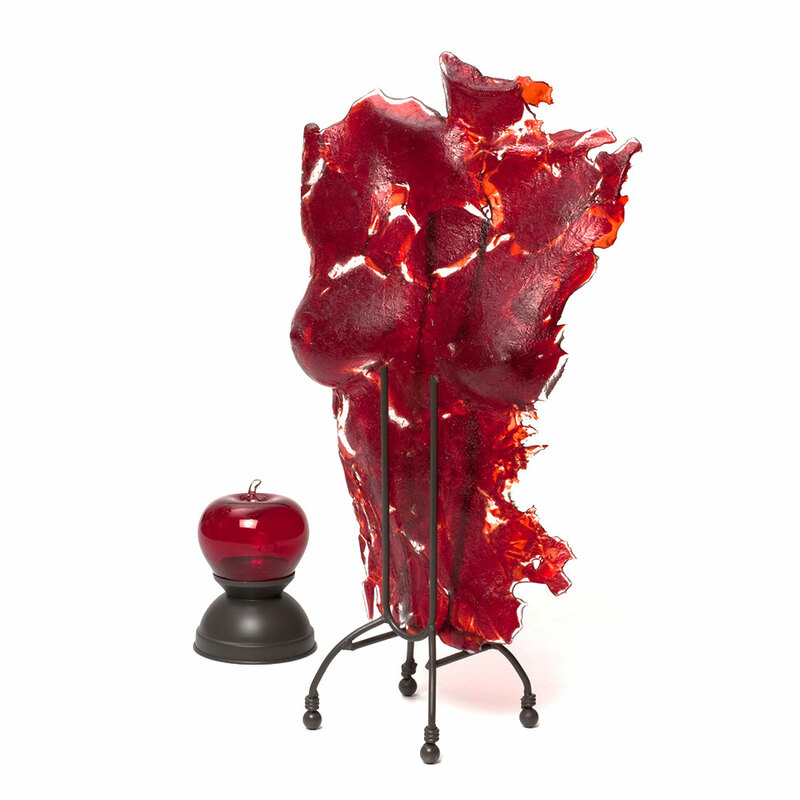 More recent interpretations of Adam and Eve at WMODA include Petros Gumbi’s naïve candlesticks for the Ardmore studio and Chelsea Rousso’s fused glass torso of Eve as a scarlet woman with her apple.